One of the more interesting announcements during this year’s Worldwide Developer’s Conference (WWDC 2017) was Apple’s Do Not Disturb While Driving feature, an idea that appears to have been implemented in direct response to several incidents reported earlier this year. After a class-action lawsuit was filed against Apple in California following a careless driver’s usage of FaceTime while driving, another one was filed demanding that Apple add some sort of “lockout” system for its iMessage system. While obviously neither of those lawsuits resulted in what they had been seeking (locking iPhone sales until security measures were added), it seems Apple was indeed paying attention after these incidents occurred, resulting in the upcoming implementation of the new Do Not Disturb While Driving feature that will be making its first appearance with iOS 11. 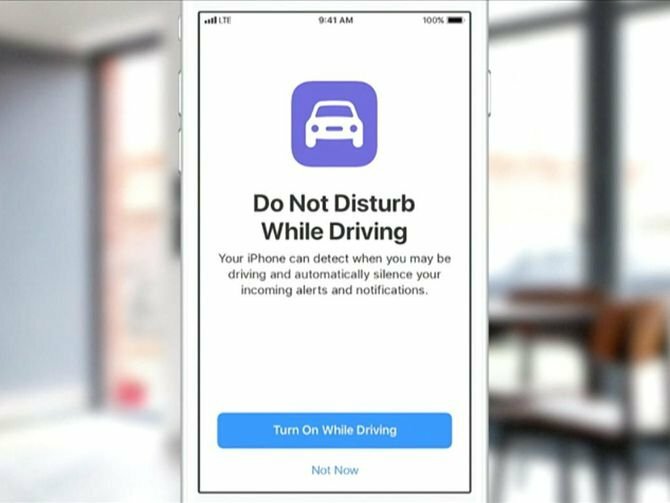 What is Apple’s new Do Not Disturb While Driving Feature? The new feature will allow users to set up automatic texts that will be sent to users who send messages to them. The messages will relay the fact that you’re driving and will need to get back to them shortly. It will also block any unnecessary notifications you might receive if you’ve connected your phone to Bluetooth. Apple will also use speed detection so it can determine whether or not a user is driving in a car while moving. It’s an optional mode that users won’t be forced to take advantage of, but for those who do decide to turn it on while driving, it could be a serious lifesaver, especially when it comes to those niggling texts you feel you need to answer right away, but don’t really have to get back to until you find a safe place to stop. Instead of having a bunch of notifications lighting up the screen while you’re driving in the dark or in general, it will even keep the screen dark so there’s even less of a distraction. How can Do Not Disturb While Driving curb texting and driving deaths? Turning on this feature will help drivers from being distracted even more so even if they’re choosing to use their phone as a hands-free device. It offers less options when it comes to replying while driving, making it a much more difficult affair for you to easily pick your phone up and send off a reply. If you know there’s going to be a hassle, there’s less of a reason to try and reply to people. Plus, it’s all automated if you choose for it to be. It can be frustrating to have to wait to reply to people until you reach your destination, but if it means you getting there in one piece and other drivers being able to get to where they’re going without worrying about people texting and driving, the feature will have done its job. When can I start using Do Not Disturb While Driving? The new feature will not be available until iOS 11 is introduced. The developer preview is available right now, but the rest of us will have to wait until fall to try out Do Not Disturb While Driving and all the other new features the new version of iOS will bring with it. If you're using your phone while driving, check out some of the Best Mobile Accessories we could come up with, so you can get the most out of your device while using it handsfree.